In Blog, Education, Exhibiting, Industry, News, People. International Jewellery London is thrilled to announce the four winning designers selected for this year’s Bright Young Gems! 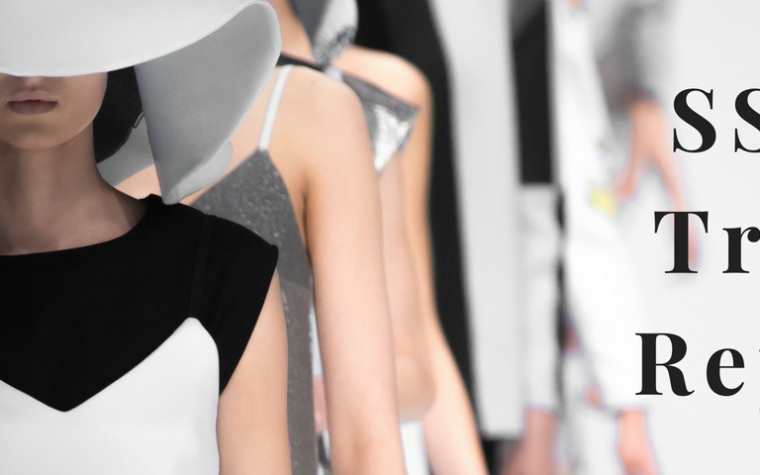 Now in its 14th year, Bright Young Gems is an IJL initiative dedicated to the design stars of the future. Every year, a handful of final year students and recent graduates are selected to showcase their work at IJL and benefit from a programme of mentoring from jewellery experts to maximise their show experience. The Bright Young Gems are selected by a preeminent panel of judges comprising Hilary Alexander OBE, Editor-at-Large Hello Fashion Monthly; Annabel Davidson, Editor of Vanity Fair on Jewellery and Alice Edwards, Jewellery Editor for the Sunday Times Style and The Times LUXX magazine, Liza Urla, influencer and founder of Gemologue and, for the first time representing retailers, guest judge Henry Graham, Creative Director and Co-Founder of Wolf & Badger. As always the standard and diversity of work presented was very high and two additional designers were named as Highly Commended by the judges. 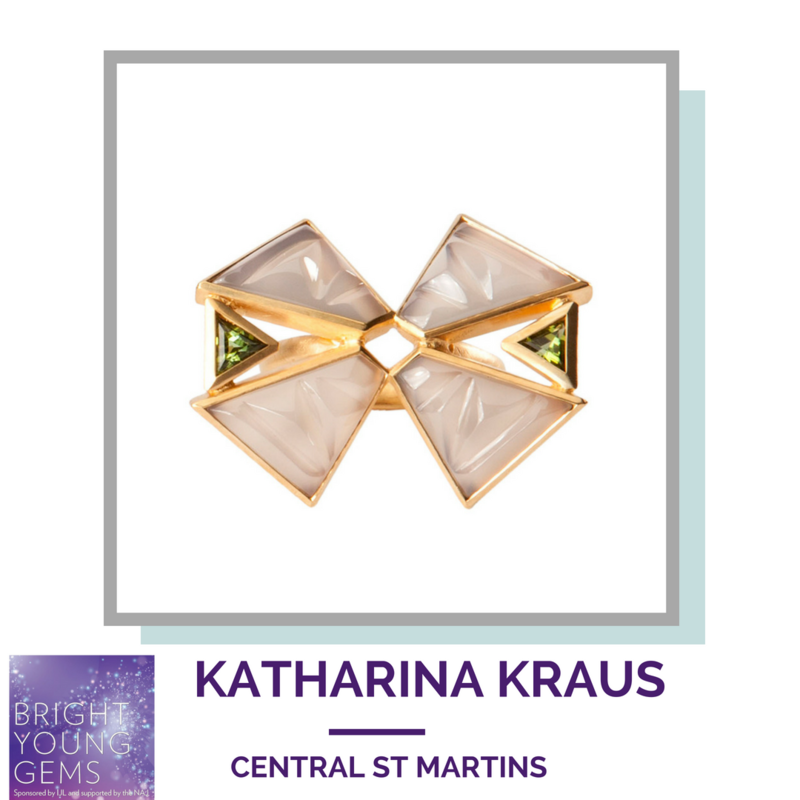 Having studied at the University of the Arts London Central St Martins, Katharina is distinguished by her cutting-edge handcrafted jewellery. She explores the natural light reflection in gemstones by placing different colours and light reflection styles in juxtaposition with each other, to create visual effects that move and change when worn. Altitude and elevation are central to Katharina’s jewellery with each gemstone angled with or away from the body. Originally from Munich, where no building is taller than the church in the city centre, her designs are crafted in gold-plated sterling silver combine translucent agate and transparent quartz with a wide array of clear coloured stones. A graduate from the London University of the Arts, Zeemou designs contemporary fine jewellery and accessories using his wide knowledge of craftsmanship and different materials (such as precious metals, glass, stones and porcelain) to create unique designs which possess both functionality and beauty. Having originally studied interior and architecture design in China, followed by an MA course in Designer Making, his breadth of design studies have influenced the way he approaches design, resulting in innovative and often surprising solutions. This is reflected in Zeemou’s latest fine jewellery collection, Melody, using 18k gold, pearls and cleverly incorporating a unique movement mechanism within each piece. 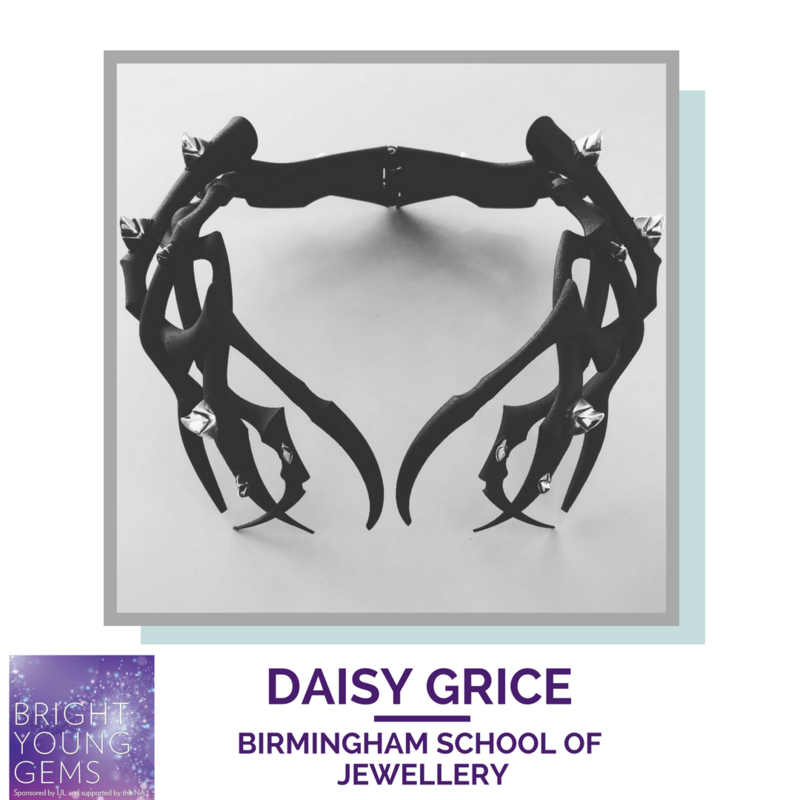 Daisy is a graduate of the Birmingham School of Jewellery with a BA (Hons) in Jewellery and Silversmithing. After working in the industry for two years, Daisy returned to the school and has learnt 3D computer aided design to elevate her traditional bench skills. The ‘Twisted Tales’ collection that Daisy has designed and made for her graduate show includes a statement neckpiece produced in laser sintered nylon and adorned with sterling silver thorns. Other pieces in the collection are made in solid sterling silver with a highly polished finish and set with black diamonds. 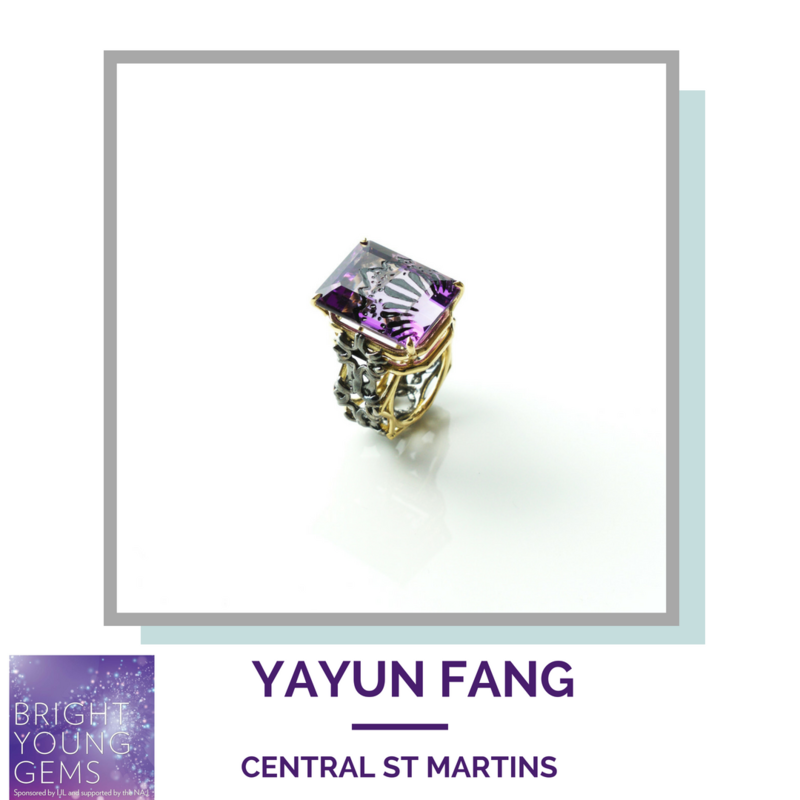 Yayun studied at the University of the Arts London Central St Martins and finds inspiration for her jewellery designs in the craftsmanship of traditional lace pieces seen in old paintings. By researching and learning bobbin lace making skills, she experimented with her own lace techniques that could be applied to metal. Influenced by digital technology and inspired by classic hip-hop jewellery culture, Yahun creates bold yet delicate jewellery, using traditional craftsmanship and digital software. The two designers whose work was Highly Commended by the judges are Rosie Groom (Birmingham) and Belle Smith (Central St Martins). Examples of their work will be on show at IJL 2018 alongside seven other shortlisted entries. 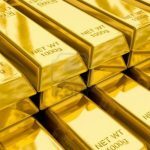 What is the IJL Journey? 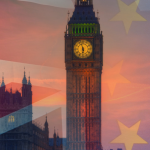 As part of our IJL 365 approach, the IJL Journey extends far beyond our three-day trade event. It offers myriad career-boosting benefits, including a mentoring package, workshop days, ongoing pricing, branding and marketing support, and introductions to key industry figures. This invaluable advice prepares each Bright Young Gem, KickStarter and Design Gallery Exhibitor to meet the 9,000 strong jewellery audience at IJL 2018, from September 2-4. Discover more about the IJL Journey, here. 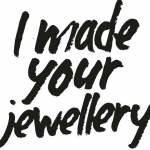 IJL is #withyou offering career opportunities and the chance to grow your jewellery business, whether you are a student, recent graduate, emerging brand or established player. Speak to our team to find out more. To discover more about this year’s Bright Young Gems, please click here. 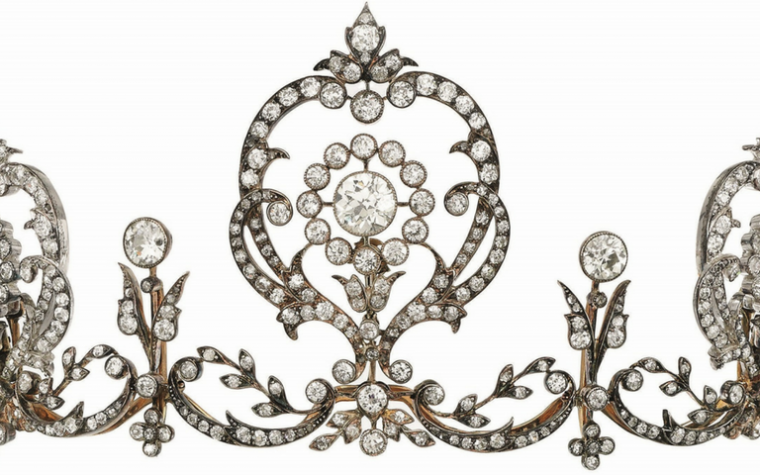 Free registration for IJL is now open. 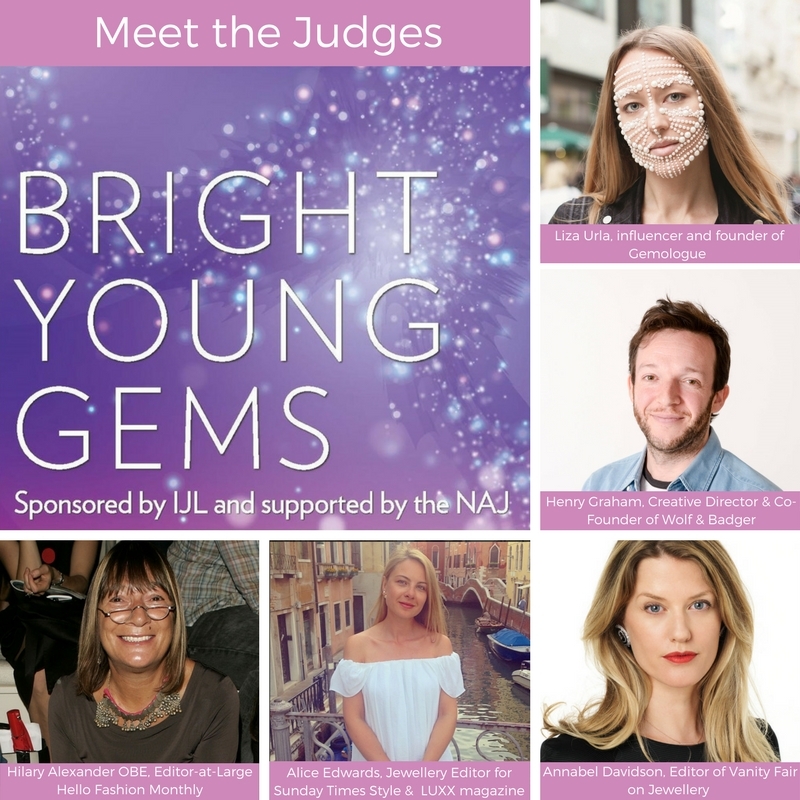 Tagged Bright Young Gems 2018, IJL 2018.